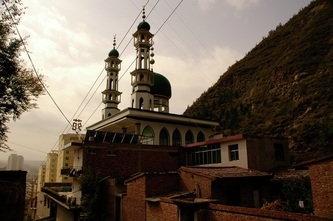 Another good place for mosque spotting. 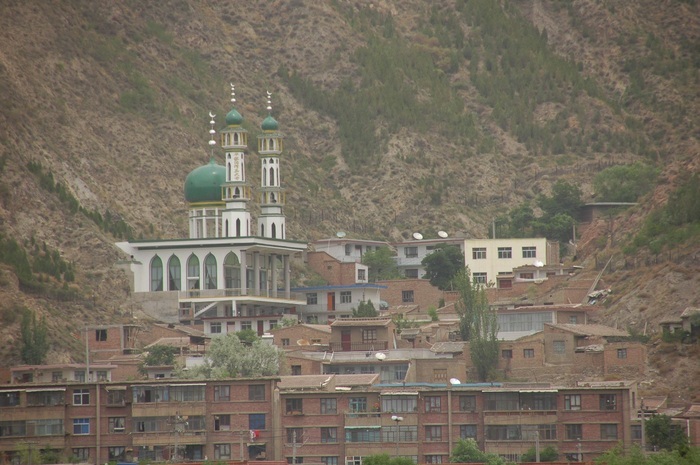 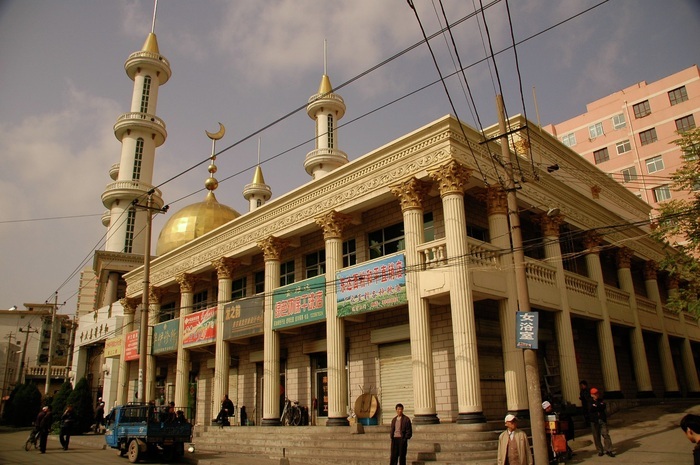 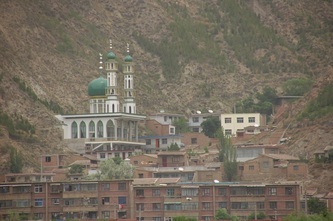 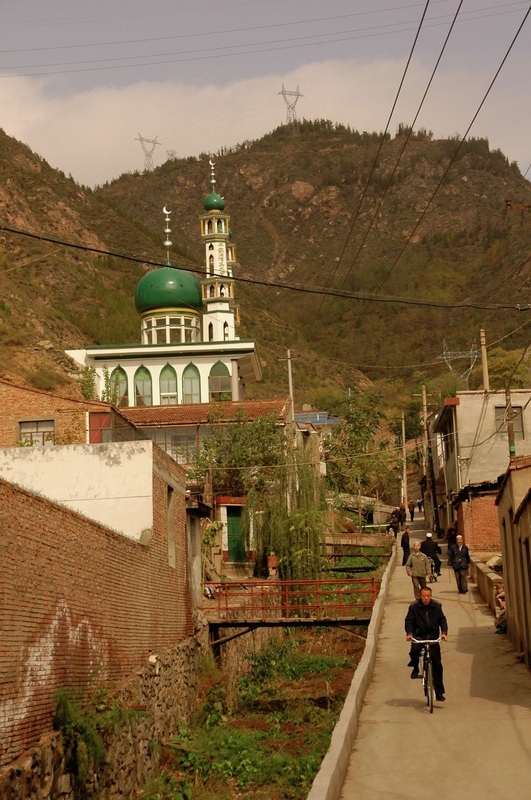 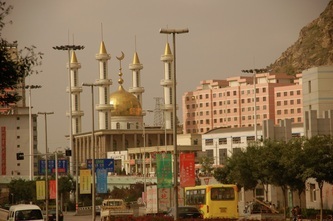 One of Lanzhou's predominantly Hui Muslim communities, this area stretches for about a kilometre along the north side of the river, opposite Xihu Park. 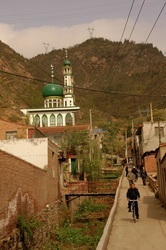 It is gradually being developed (new high rises are taking shape), but is still one of the poorer areas of the city, with alleyways of tumbledown houses leading up to the foot of the hills from the road, lined with noodle restaurants, local shops, and street side vegetable sellers. 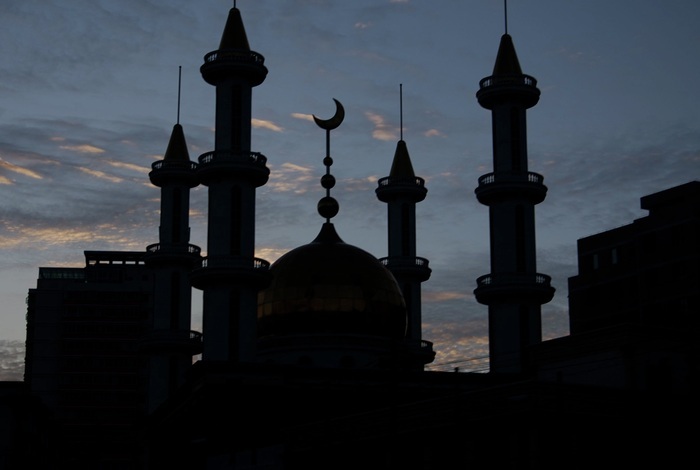 Start from the Hépíng Qíngzhēndàsì (和平清真大寺 - 'Peace Mosque'), and walk east, parallel to the main 'Beibinhe Lu'.